Where: UB Stadium, Buffalo, N.Y. The Black Knights are coming off a heartbreaking 28-21 overtime loss at AP No. 5 Oklahoma. Army hung close with its national opponent having an answer for every Sooners’ score, except the overtime winner. The Black Knights have been solid away from West Point, winning five of their last 10 road contests, dropping three of those games to No. 8 Ohio State in 2017 and a currently undefeated No. 22 Duke and No. 6 Oklahoma teams this season. Over the last three contests the Black Knights are averaging 363.7 rushing yards and have scored 11 of their 12 touchdowns via the ground game. 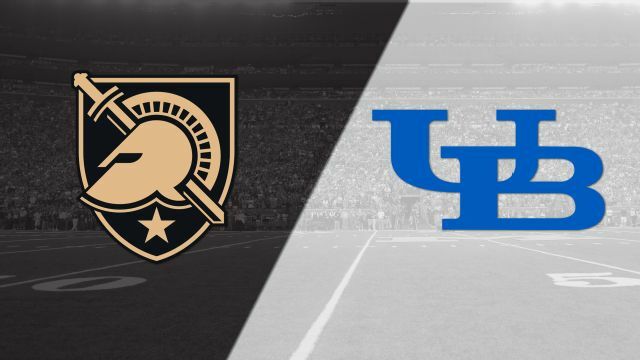 This will be the sixth all-time meeting between Army and Buffalo. 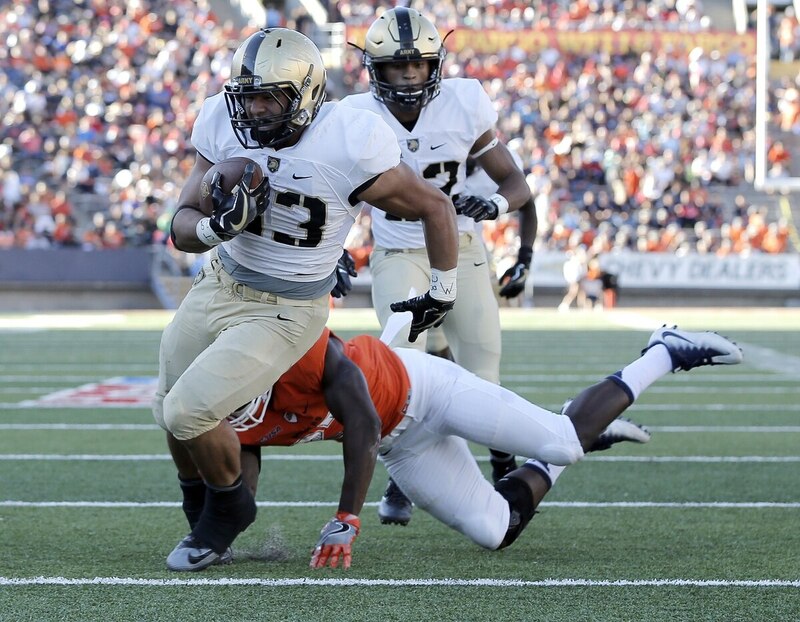 The two teams are currently tied at 3-3 in the all-time series, with Army winning the most recent contest just a year ago 21-17 at Michie Stadium. Key Player: Senior RB Darnell Woolfolk has posted 259 yards and has found the end zone three times. He and all of the running game will be key to the Black Knights pulling off the road victory via keeping the time of possession and away from the potent Buffalo offense. Fantasy Bonus Baby: Junior QB Kelvin Hopkins Jr. is currently leading the team in rushing with 308 rushing yards, including back-to-back 100-yard performances opposite Hawai’i and Oklahoma. . Hopkins has scored a team high four rushing touchdowns. Look for him to again lead the team in rushing again this week. The Bulls are 4-0 for the first time since the 1981 season. The last time Buffalo started a season 5-0 was 1980. Buffalo is coming off a 42-13 win at Rutgers last Saturday. It was the first-ever win over a team from the Big Ten Conference. The Bulls were 0-7 against Big Ten opponents prior to Saturday’s win. It was also UB’s first win over an opponent from a Power 5 conference. Buffalo’s win over Rutgers was one of the largest by a MAC school over a Big Ten opponent in conference history. The Bulls are looking to sweep their non-conference opponents in a single season for the first time in school history. The Bulls have won seven straight games dating back to last season. It is the fourth longest streak in the FBS ranks (UCF 16, Ohio State 9, Penn State 8, Buffalo 7, Duke 7). Key Player: LB Khalil Hodge recorded his 300th career tackle against Eastern Michigan on Sept. 15 to become the fastest player in school history to reach 300 tackles. No player in college football had more tackles than Hodge over the last two seasons. 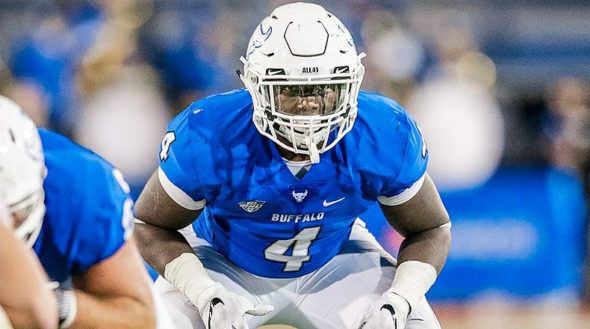 He totaled 277 tackles over the last two years.Hodge was named the MAC East Defensive Player of the Week after his 15-tackle performance in UB’s win over Rutgers. He and the defense will need to be disciplined against the Army option game. Fantasy Bonus Baby: QB Tyree Jackson is off to a blistering start to the season, having already thrown 15 touchdowns, three more than he did all of last season. He already ranks 10th in school history for single season passing touchdowns. He has really found his groove since the end of last season. Over the last eight games, he has thrown for 2,415 yards and 24 touchdowns to only five interceptions. Jackson’s 15 touchdown passes on the season is tied for third in the nation. Look for him to again to find the end zone multiple times in this game.